On February 6, a sea of orange shirts flooded a small room on the third floor of the Arizona State Capitol. There were 100 of us—so many that some had to sit on the floor. In memory of the tragedy at Marjory Stoneman Douglas High School in Parkland, Florida, teenagers across the state of Arizona have taken it upon themselves to advocate for their own school safety. In order to avoid being added to the list of victims of the gun-violence epidemic raging across the country, Arizona students have organized and staged marches, protests, sit-ins and die-ins to promote and broaden the inclusion of gun safety in the agenda of the Arizona legislature. 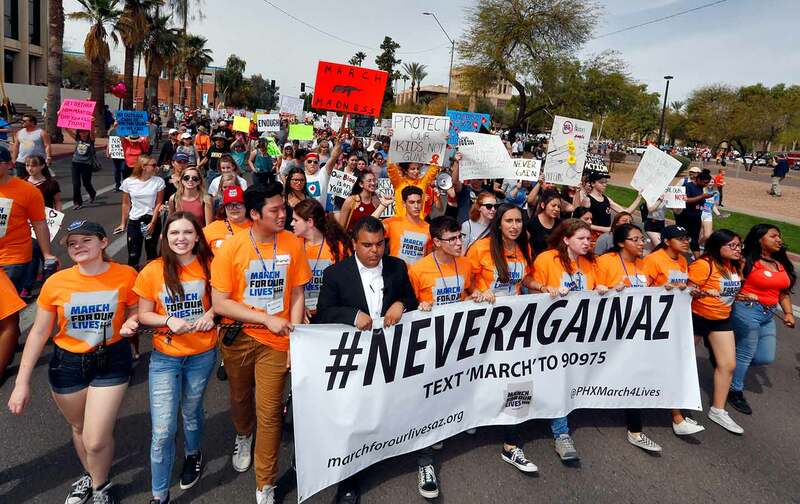 March for Our Lives Arizona, run and led by teenagers, has over 65 clubs in schools across the state plus seven regional groups, and members in every single congressional district. Most recently, our organizing has coalesced in a bill, which is what brought us to the state capitol earlier this month. Through HB2957, school districts would be required to create a school-safety plan, which would outline how each school will respond to students in mental-health crises. It would also mandate that schools develop partnerships with outside community organizations or agencies that students can be referred to when counselors cannot provide long-term care. Though the bill is currently stuck in the House Rules Committee, along with 75 other bills being held by the Rules Committee chairman, Republican Anthony Kern, we hope to continue championing the idea. Through organizing to draft it, students involved with March for Our Lives Arizona learned how profoundly mental health issues affect many Arizonans. In November of last year, we held our first annual Youth Leadership Summit, a statewide event where all of our members discussed the everyday issues surrounding gun violence and how they can be resolved. From the input students gave that day, we saw that the immediate concern is the inadequate resources for emotional and mental support in the place where we need it most: schools. We drafted a Students’ Bill of Rights, and we decided to focus on mental health this legislative session. Arizona has the worst student-to-counselor ratio in the country at 900 to 1, far above the national recommendation, which is 250 to 1. We crafted HB2597 because we are tired of overworked counselors too busy, even, to meet with students; we are tired of not being listened to. This bill was written by students, for students. We worked with legislators from both sides of the aisle to formulate this bill in legislative language and to get it introduced in the House. In the offices of our state representatives, we met with both Democrats and Republicans. We told our personal stories and explained why we care about mental health, which varied from struggles that we have seen friends and family members go through to the emotional suffering and mental-health struggles that we’ve dealt with personally. We urged the legislators to support the bill and to finally address our schools’ lack of support. We stressed the importance of preventative measures over reactive ones. Our bill had bipartisan support. And we believe this to be a nonpartisan issue. School is stressful, and becoming ever more stressful for young people. For those who do not have the resources to get help, the stress can feel insurmountable. Who better to write a bill on mental health than the people it affects the most? This bill is not the be-all-end-all answer to the mental-health crisis that we teenagers face today, but it is a foundation on which we can build. The mental-health crisis cannot be solved with one bill. But it is a step in the right direction, and we will keep fighting for better support in schools, because ignoring students’ mental health is a threat to school safety. We showed that when we introduced our bill on February 6, that we have a voice; stalled or not, students here are ready to fight for better mental-health care in our state. In the meantime, we are turning our focus to voter registration. Local elections matter. Our state representatives have a direct impact on what legislation gets passed, and that applies to any future legislation that March for our Lives Arizona proposes. We will be working to elect representatives who believe in commonsense gun reform and who will help us pass legislation that will save lives. Our theme for this session is #ExpectUs. 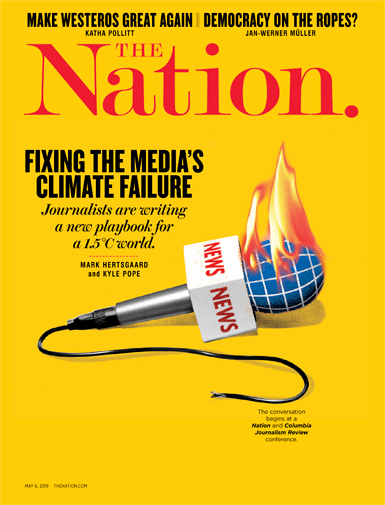 Expect us at the polls, at school boards, and at the legislature. We’ve delivered on that promise, and now that we are here, we are not going away. Jordan HarbJordan Harb is the executive director of March For Our Lives Arizona. Emma RowlandEmma Rowland is the political director of March For Our Lives Arizona. She is a senior at Veritas Preparatory Academy and will be attending American University in the fall.